Crock-Pot Chicken Fajitas or Nachos with Quinoa are perfect for days when you don’t have a lot of time, but you’re in the mood for a fiesta. Wrap the filling in tortillas or make nachos! I know someone who’s about to experience the sheer joy of a new baby…and the unpredictability that comes along with this blessing. It’s Katie over at Katie’s Cucina. Yay! I’m so excited for her because my girls are the best thing that ever happened to me and my hubby! Some of her food blogger friends are throwing a surprise virtual baby shower. We’re posting recipes that are perfect for new moms and families and will make meal times just a little bit easier. Truth of the matter, these recipes are great for anyone! I love this crock pot recipe because not only do you get a flavorful filling for tortillas…but, you have other options too like nachos or soup. 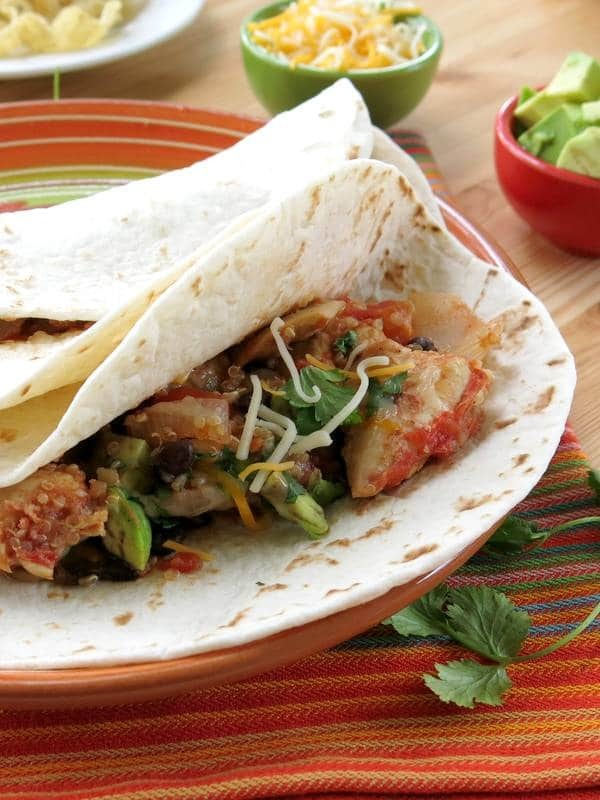 Crock-Pot Chicken Fajitas are also helpful when entertaining because of the flexibility. Just turn the setting to warm until serving time. We used chicken tenders. However, chicken breasts can be used and shredded before serving with two forks. Diced chicken will also work. 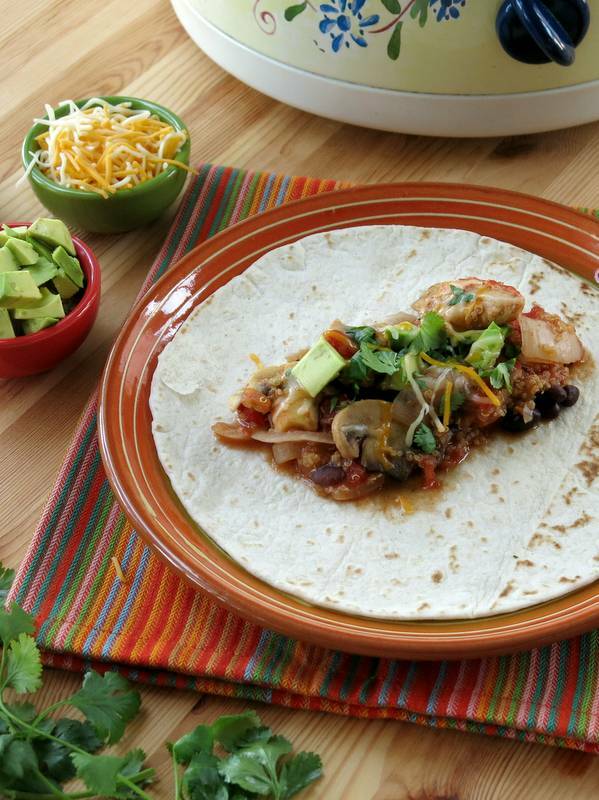 Fill your favorite tortillas with this flavorful filling that includes mushrooms, onions, tomatoes, black beans, lots of seasoning and of course, chicken and quinoa. It stands alone. Add your favorite Tex-Mex toppings to this dish. Mine are cheese, sour cream and cilantro! Or, set out a bowl of chips and Crock-Pot Chicken Fajitas turns into nachos or a very hearty dip! You can even turn it into Slow Cooker Chicken Quinoa Soup. And, if you happen have some leftovers, by all means freeze them…so you’ll be ready for your next fiesta! Please rate this recipe and tag @DinnerMom #DinnerMom on social media. We love to see what you are cooking up! 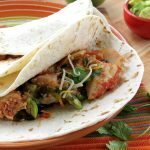 Crock-Pot Chicken Fajitas with quinoa, black beans, onions, mushrooms and tomatoes make a delicious filling that's perfect in tortillas or for nachos. Add all of the ingredients to a crock pot and stir to combine. 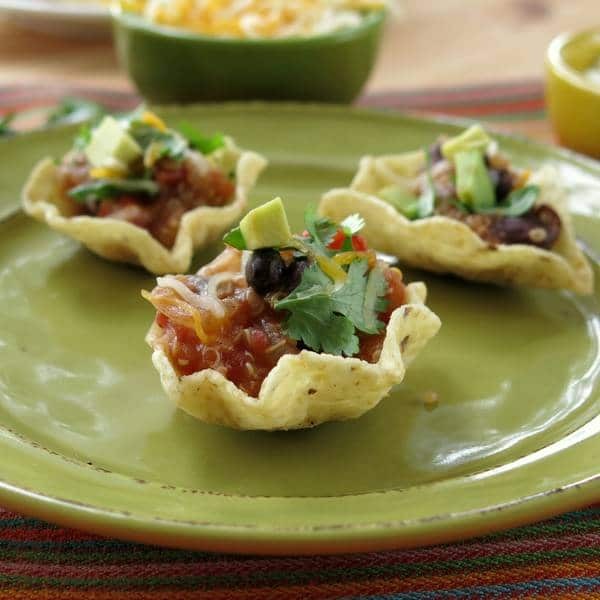 Serve on tortillas with optional toppings. 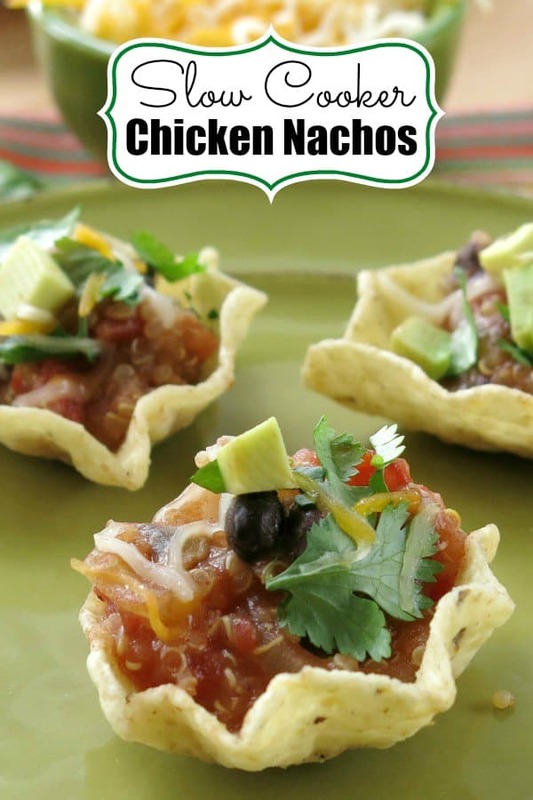 Another serving option is to serve with tortilla chips for nachos. Chicken can be shredded with fork before serving if desired. Nutritional estimate does not include optional toppings. Much happiness and best wishes to Katie!!! Here are more recipes which are perfect for new moms, families or anyone looking to simplify life! Marjory, thank you for sharing this tasty recipe for my surprise baby shower! Super ironic, because I’m making fajitas tonight, but not in the slow cooker. I’ll definitely be saving this recipe for once the baby arrives. I think the crock pot will be my new best friend! Your welcome Katie! I’m so excited for you! Thank you so much for this recipe. I usually reserve fajitas for the weekend, this is a great fix for a busy weeknight meal. I love the versatility of this meal and crock pot meals are my favorite! Thanks for the great recipe! Thanks Caroline. I’ve been using mine quite a bit this winter! What a brilliant idea, I love it!! I adore my crockpot right now!! Thanks Tara! I’ve been using mine a lot lately too! WOW…the flavor in this must be AMAZING!!!! Love my slow cooker. Thanks! We’ve been enjoying a lot meals in it lately. Soooo easy. Marjory, I am *in love* with this idea. I bet you could also use the leftovers to do a really fun baked pasta dish. Yum! I’m definitely going to try this. Thanks for joining with us to celebrate Katie. Thanks Christine. 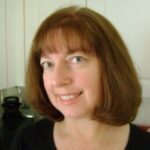 What a great recipe round-up the “virtual” shower turned out to be for new parents. And, pasta…yes!!! I really love the versatility of this recipe, Majory! Thank you so much for joining in on the shower for Katie! Thank you for hosting such a fun event!!! Hello! This looks so yummy! Did you cook the quinoa separately before putting in the crockpot? Or is this quinoa uncooked, straight from the package? Also is the chicken uncooked (or frozen) before you place in the crockpot? Thank you! I love quinoa but never thought of using it like this, such a great idea! I love this crockpot recipe! So perfect for a busy day and I love not having to heat up the oven! Thanks Liz! We use our crock-pot year round!